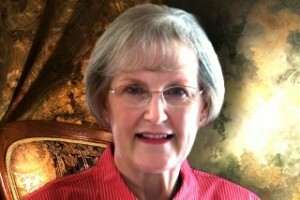 This week I welcome author Brenda B. Taylor to the Friday Fast 5. I read biographies, westerns written by Zane Grey, and Nancy Drew written by Carolyn Keene during my school-age years. I try to incorporate the elements of action from the westerns along with the suspense and mysteries of Nancy Drew into the books I write. Do you cast people to play the characters in your stories? Oh yes, I cast my characters. The characteristics—physical, emotional, and spiritual—are firmly fixed in my mind and written on paper before I write. Some of the minor characters happen along during the writing process. I am more of a character writer than plotter, although I do plot the stories. My characters soon take on personalities of their own, sometimes doing and saying things I don’t expect. They may take the scene in another direction. Their conversations roll around in my head until I finally write them down. What is on the top of your to be read pile? I don’t have a particular book at present, but it will be a Scottish historical novel. I enjoy reading other authors in the genre of my present writings, and I just like the Scottish historicals. I have a Scottish historical romance, A Highland Pearl, soon to be published. My first love is coffee, but I enjoy Arizona Green Tea. It takes two cups of coffee in the morning to get my engine revving enough to work. I overcome writer’s block by writing. When I sit down and put words on paper, the thoughts and ideas begin to come. Sometimes they are jumbled, and I have to sort them out, but I usually can glean an idea from the scribbles. 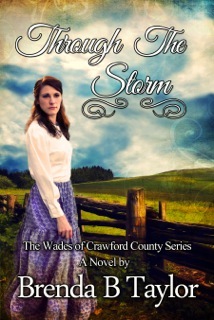 The Wade family saga continues in Through The Storm, a work of historical fiction set in post-Civil War Missouri. Love reigns in the home of Leann and Ralph Wade, although tested many times during the course of their marriage. Leann and Ralph struggle to overcome the storms of life through faith, courage, and commitment to each other. I like reading about how you authors do this. It is so interesting. And I could not live without my coffee.